Demo #2 shows a label for each markers and changes its font size effected by microphone volume inputed. 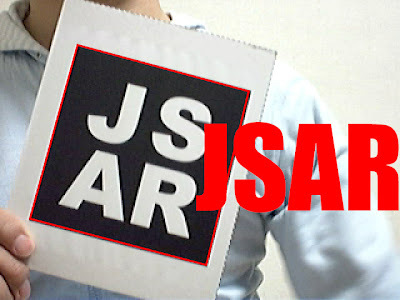 In fact, you can use jsar.swf pre-compiled. So you don't need to compile it by your self. I need say thank you to Saqoosha who has developed FLARToolKit. * Original post of this was written in Japanese at 2009/05/05 01:46.